If you're exploring coastal national parks, you'll discover many beautiful, unspoilt beaches. While enjoying our beaches, it's important to always keep beach safety top of mind. These beach safety tips will help you stay safe in the water and on the sand. 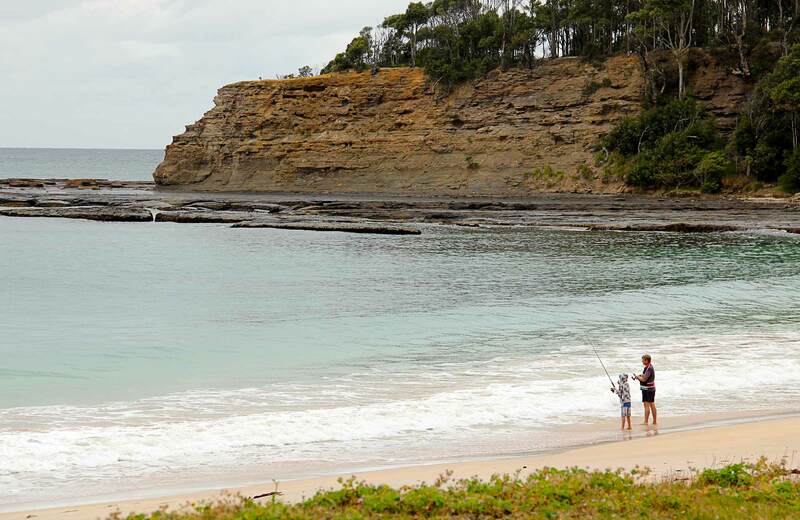 Most beaches in NSW national parks are unpatrolled. Find out if there are lifeguards at your beach or find the nearest patrolled beach on the BeachSafe website. If you are swimming at a patrolled beach, always swim between the red and yellow flags. Read any information from lifeguards placed on beach report signs showing you hazards present on that day. Rips and currents can occur even on still days. Find out how to spot or escape rips and currents. Don't swim, surf, fish or go to isolated beaches alone. Don't swim under the influence of alcohol and or drugs. Be aware of diving into water. Even if you have already checked water conditions, they can change. Protect your skin with sunscreen and a hat, and consider wearing long clothes or a rash vest. Remember that ultraviolet radiation (UV) levels can be high even on cloudy days. Wear the right protective gear for your activity. For example, wear fins and a leash for bodyboarding, a life jacket for kayaking, a life jacket while rock fishing. Get more advice on water safety gear. Look out for marine stingers – if you see bluebottles, avoid the water and leave octopuses alone (the blue-ringed octopus is venomous). During swimming season, The Department of Primary Industries operates a shark meshing program at selected beaches in Sydney, the Illawarra and Central Coast. 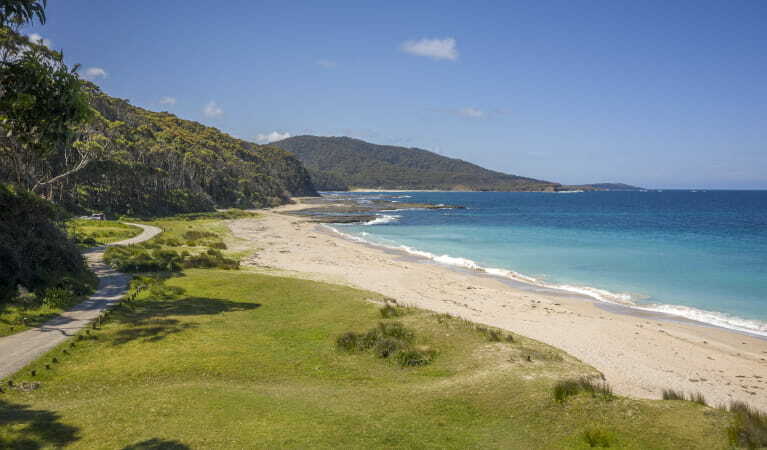 Some of these beaches are near NSW national parks. Find out more about the SharkSmart program. If you choose not to go into the water, there are plenty of other ways to enjoy our beaches – walking, picnicking, bird watching, or taking photographs.